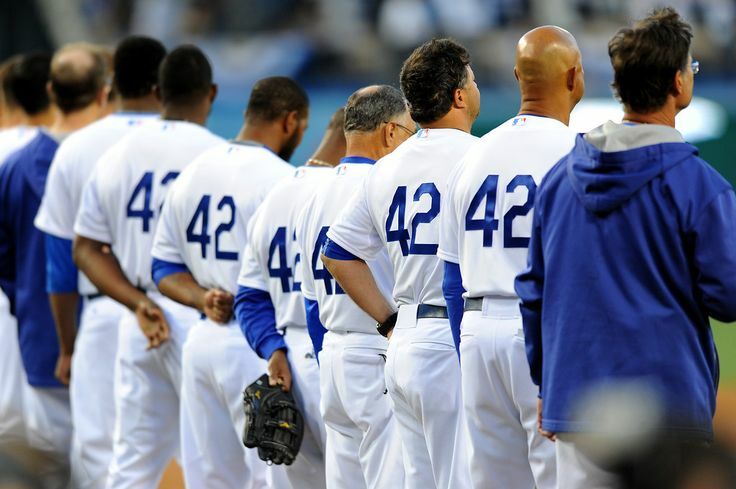 Jackie Robinson Day in photos. 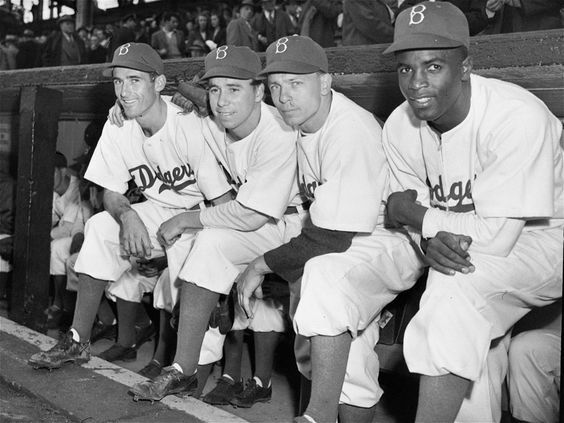 My colleagues on the photo desk put together an awesome gallery of photos depicting Jackie Robinson Day, spanning the Brooklyn Dodgers career of Robinson himself to the present day. Check it out here. Dodger Stadium Jackie Robinson statue details released. The Dodgers today announced that the Jackie Robinson statue, a project Stan Kasten breathed into existence in April, has a sculptor: Branly Cadet. Cadet, who lived in Brooklyn before settling on the west coast in Oakland, CA, is creating the Robinson piece around the theme, “Leveling the Playing Field.” Cadet’s previous works include the William Shakespeare medallion at the former Booth Theatre site in New York City, and the Adam Clayton Powell Jr. Memorial in front of the New York State Office Building in New York City. He is also currently working on a privately funded large-scale monument for the City of Philadelphia. The Robinson statue will be approximately nine to ten feet tall and, once completed, will be unveiled at Dodger Stadium at a location to be determined. Game 9: Dodgers 5, Seattle Mariners 2. There was enough pomp and circumstance Wednesday at Dodger Stadium to fill — well, Dodger Stadium. It was the Civil Rights Game, on Jackie Robinson Day, with every player wearing number 42. The Dodgers honored Robinson with their play as much as their words. Robinson Cano — who, ironically, is named for number 42 — could not say the same thing. The game story is here. The box score is here. The photo gallery is here. The biggest news might have come before the game, when president Stan Kasten (sitting with commissioner Rob Manfred, Rachel Robinson and Magic Johnson) announced that a Robinson statue would be the first in a series at Dodger Stadium. Who should be depicted in the second Dodger Stadium statue? OK, we know that Dodger Stadium is getting a Jackie Robinson statue. There figures to be a second statue at some point. Who do you think should be depicted? Who should be the second Dodger Stadium statue depict?